The Pulaski Skyway is a four lane bridge-causeway that spans the Passiac River and the Hackensack River. It's the cars only Route 1&9. 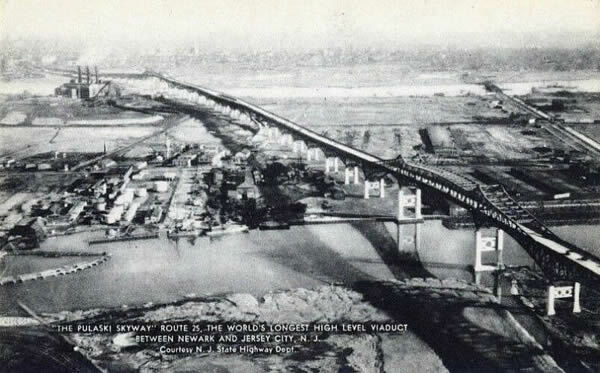 Construction began in April 1930 and the roadway opened in 1932.